As someone who hears, analyses and can appreciate every element of a track in minute detail from lyrics, cowbells, brightening effects to an accidently recorded studio trump, I've always considered myself the queen geek/nerd of music..........But cue Folk-Inspired Singer/Songwriter Zoë Wren who Is on another level, we're talking the chocolate hobnob of nerdiness here but it's fascinating for one so young, as is her new Six track E.P Gold & Smoke out for official release on 3rd March. First to the music, as someone who is a bit wary when it comes to that medieval folk vibe, I breathed a sigh of relief, not a Nonny-Nonny-No in earshot. In fact, there's a significant continuity throughout the E.P that flows like a gentle stream in the form of Zoës vocals, beautiful is a thought that surfaces rather a lot, along with pure. There were also some lovely lyrics, so simple and poetic it took me back to courting days. 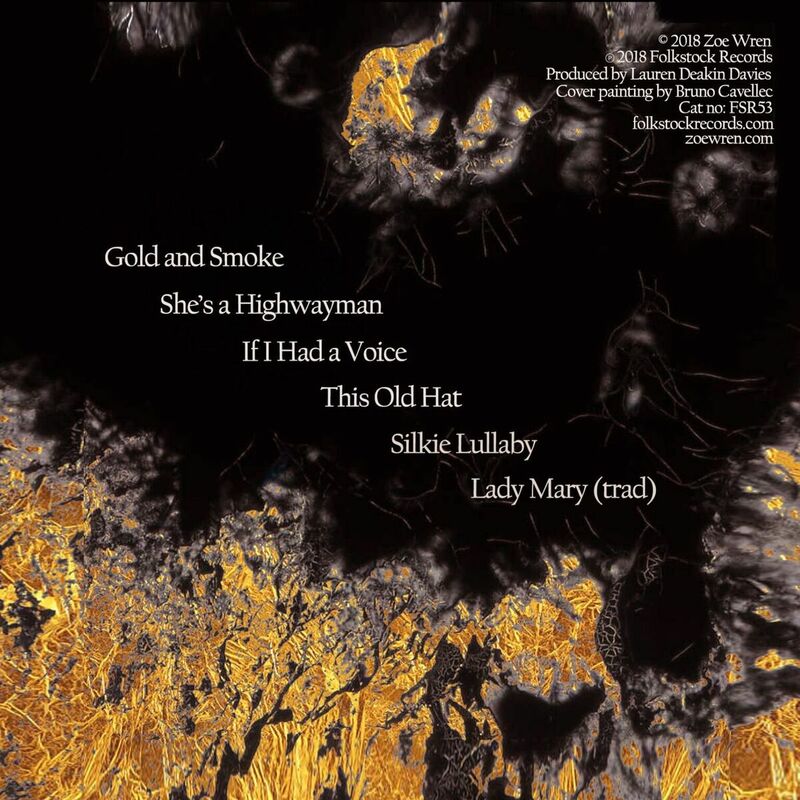 In Gold & Smoke, she sings "Gold & Smoke are my romance tonight, I'll lie in the arms of victory's might" And In "If I Had A Voice" one of those clever lines most Songwriters wished they'd written, "I've been written out of my own song" ? As well as nerdiness, add wild imagination to the compliments, For Zoë has an in-depth story and explanation for each track that belies her years, which leaves you wondering if she's walked this earth before? In the track "Lady Mary" there is such maturity to her vocal and storytelling delivery, you'd be forgiven for thinking you were listening to a middle-aged pro. You know you're in for a treat when somethings been recorded/produced by the multi-talented Lauren Deakin Davies. 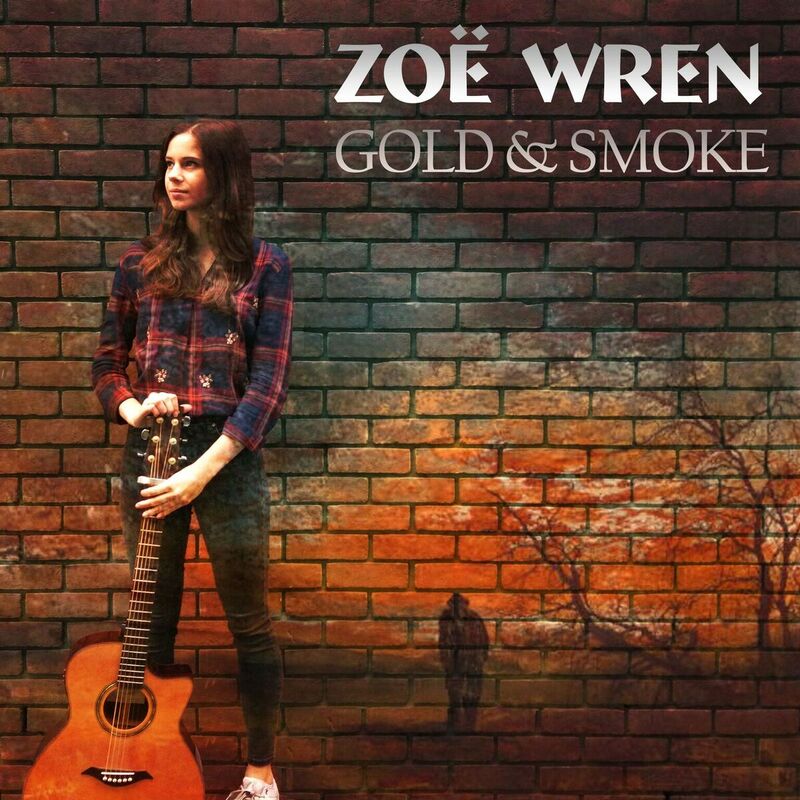 Gold & Smoke has six beautiful tracks and Gold is just how Zoë Wrens future is looking after this. If you enjoy good music then please show support and share. I Write,Rant,Ramble &; Review........& on the odd occasion I've been known to Roar, especially when snack deprived. I've been in the business long enough to know good music when i hear it regardless of genre, so If it's bloody good I'll review it, although be warned, very few pass my audio fest test. Eargasm originated from my Column at the Watford Observer & subsequently remained as part of the Runnin On Empty Blog, but due to its popularity It now has a page of it's very own. I no longer take requests, but will consider Exclusives.